Council poll: APC seeks Lagos residents’ votes – Royal Times of Nigeria. 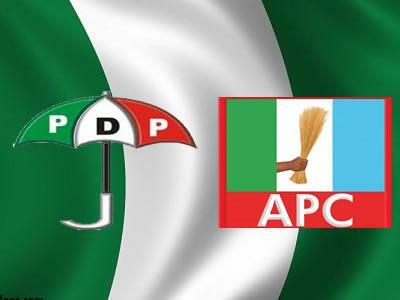 The Lagos State Chapter of the All Progressives Congress (APC) on Monday urged the state residents to appreciate Gov. Akinwunmi Ambode’s transformation agenda by voting for the party on Saturday. The Chairman of APC in Lagos State, Dr Henry Ajomale, told the News Agency of Nigeria (NAN) in Lagos that the party would continue to improve the lives of the citizens. The Lagos State Independent Electoral Commission (LASIEC) will on Saturday conduct chairmanship and councillorship election in the 20 local government areas and 37 local council development areas of the state. LASIEC has fixed run-off election for July 29. Ajomale said: “I urge the residents to come out en masse on Saturday and vote for APC. “They have seen the good works Gov. Akinwunmi Ambode is doing. This election time is the time we must show him that we appreciate his development and transformation agenda. “This will make him to work more to develop Lagos for the benefit of all of us. Mrs Kemi Nelson, South-West Women Leader of APC, said that voting for APC had many benefits. “July 22 is the election; I am calling on our people to come out in their numbers and vote for APC. “APC is a tested and trusted party. We stand to benefit a lot if we vote for APC,’’ Nelson said. Mrs Yinka Oladunjoye, also a member of APC, urged the residents to use the election to determine their leaders at the council level. “We have to be part of this election because we all have a stake. It is an opportunity to determine who leads us. “This administration has been working; APC is working and will continue to work. “Come out and vote for APC so that we can experience more prosperity in Lagos State,’’ Oladunjoye said.